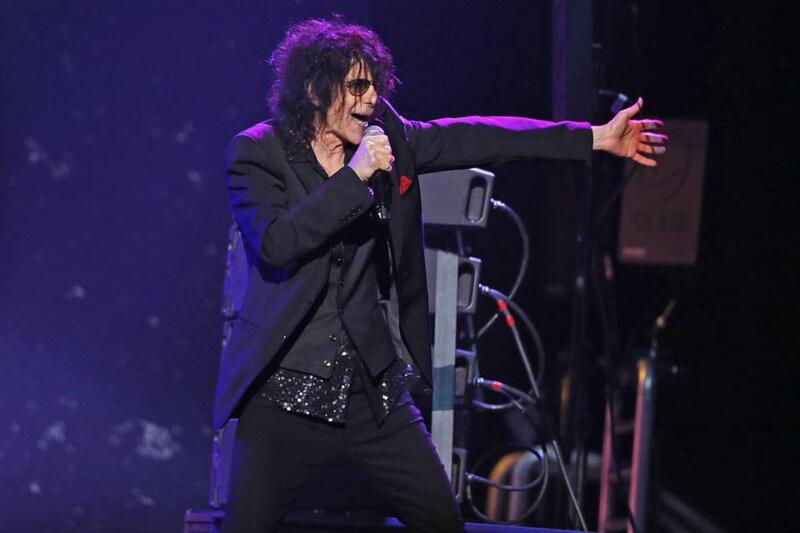 Performing at the “Boston Strong’’ concert Thursday night were Peter Wolf and the J. Geils Band (above), Jason Aldean (below left), and Tom Scholz and his band Boston (below right). Bottom left: The New Kids on the Block discuss the concert at a press conference earlier in the day. It was no small task pulling together “Boston Strong: An Evening of Support and Celebration,” Thursday’s sold-out, star-studded benefit for the victims of the Boston Marathon bombings. But somehow, even with all those rock ’n’ roll egos wandering around backstage at TD Garden, it all worked. “To say everyone is checking their ego at the door is a cliche, but it’s true,” said New Kid Donnie Wahlberg. “To walk down the hallway and bump into Carole King and have her say ‘Thank you. Your city is so great.’ . . . There’s no place for rock star attitudes tonight. Asked before the show about a possible New Kids/Dropkick Murphy mash-up, Wahlberg smiled. There had been rumors that Mark Wahlberg might make the scene for a reunion with the Funky Bunch, those one-hit wonders whose song “Good Vibrations” was No. 1 way back in 1991. Alas, it didn’t happen. Kiss 108’s Matt Siegel kicked off the show and treated it more as a pep rally than a rock show. We found J. Geils keyboardist Seth Justman enjoying the first part of the show with friends and bandmates in a private box. He said Boston’s response to the bombings has been overwhelming. Extreme singer Gary Cherone said his band was honored to be included in the concert. Comedian Cook said he was asked to participate because organizers “needed some laughs” amid the poignant performances. Net proceeds from Thursday’s show — expected to exceed $1.5 million — will benefit The One Fund, which has raised more than $37 million for victims of the bombings.